Made with the finest quality fragrances and essential oils, Buckley & Phillips' reed diffuser refills are a long-lasting and efficient way to fragrance your home. 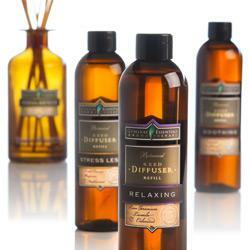 Each reed diffuser lasts for up to 3-4 months. Select from two different ranges; Gumleaf Essentials features the finest in aromatherapy, while Simply offers a range of classic & contemporary scents including the much loved Lemongrass.